Sent from my iPhone using Slot Fanatics mobile app Ended up with 104 spins. Last edited by KevinOK; 11-24-2018 at 12:22 AM. Oh My!! .. Kevin that is Awesome!! ! Outstanding. I love Winstar. It's so nice, but a little tight. That is an amazing hit. Moved back to Ohio from AZ. Rude awakening. The Ohio casinos are horrible. Great hits. Have you tried Ultimate Firelink? Do you know if Grand has the Ultimate Firelink? Continued good luck. I have not tried it but will look for it. I haven’t been to the Grand in a very long time. If you find the Firelink you need to try them. I have hit over 10 jackpots on them so far this year. They are by far my favorite machine of all time. I have won jackpots on them at Hard Rock, Riverspirit and Osage Tulsa. If the cruise ship has them that will be the machine I will play the most. Hope you continue to win. Good luck. 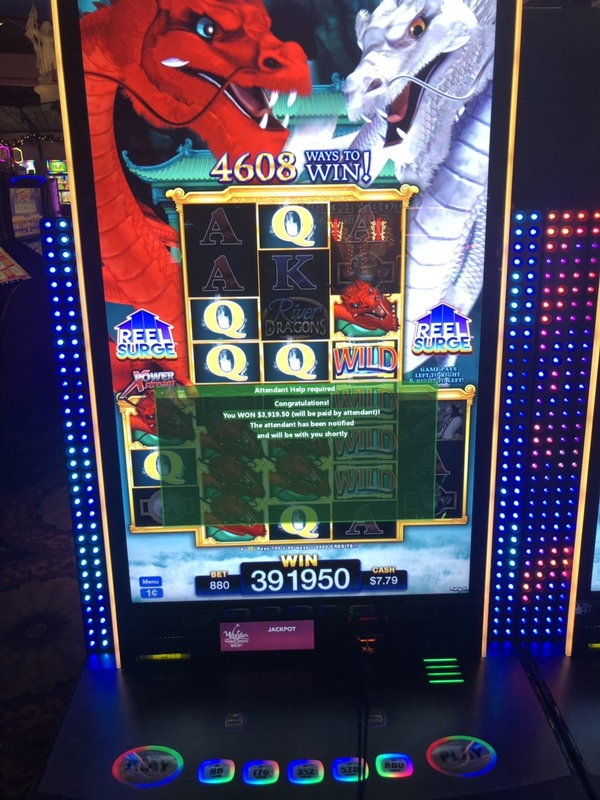 It looks like you hit that big winner on the last spin you could do at 880 credits. a spin That my friend is LUCK! Yes and no. I used a Tito and got it first spin. Hah. Blew me away.